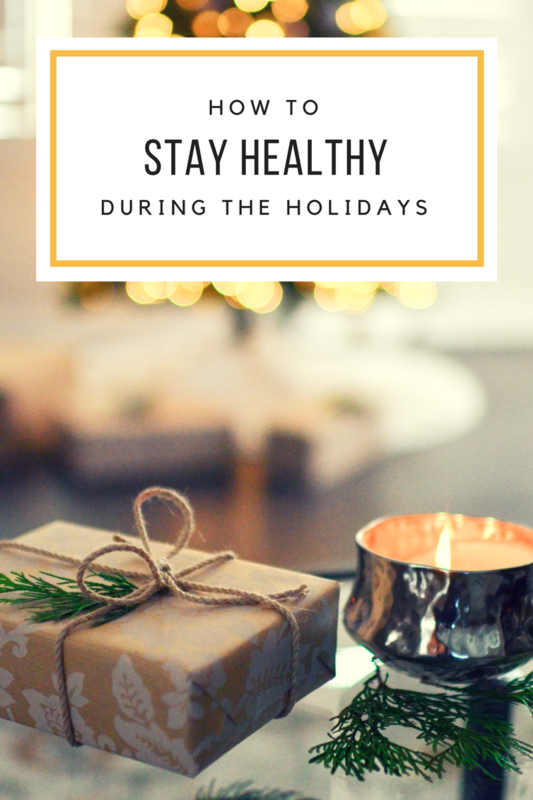 Today I thought I’d share my tips and tricks to stay healthy during the holidays. I know it can be hard when there are Christmas treats at every turn and the holiday spirits are flowing (if you catch my drift;) ). Not to mention, it’s a super busy time of year! Sure all the shopping and parties and traditions are fun…but they can cause things that keep you on track the rest of the year, like exercise and meal prep, to take a back seat. So, here are some ways we can all have a healthy, happy holiday! 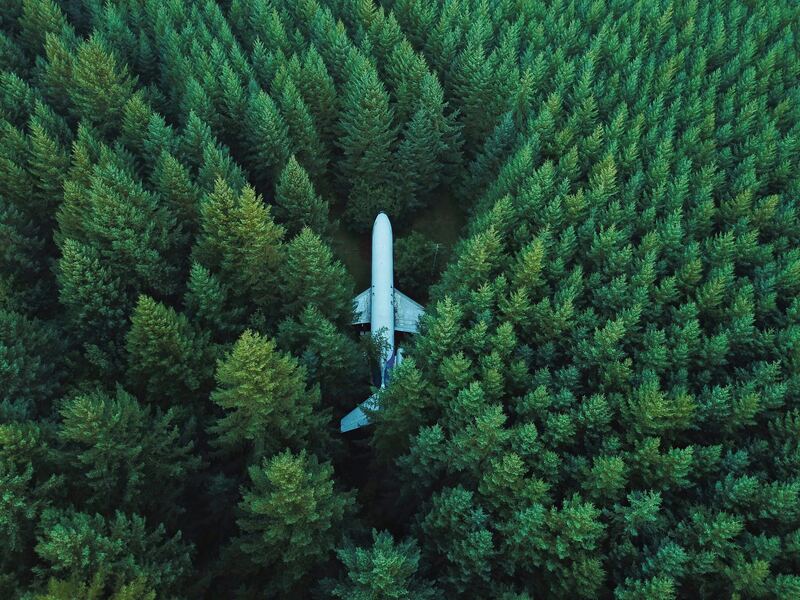 Sneak in exercise. Walk wherever you can. (To and from work, to a friend’s house who lives near by, or from the very back of the parking lot.) Always take the stairs instead of the elevator. Prep some foods on a Sunday or Wednesday to use throughout the coming days. Cook a protein, roast some veggies, and make a big pot of rice or quinoa. Cook once, eat twice (or as many times as humanly possible)! Find a few fuss-free, go-to recipes that you can make when you’re super busy and running around. Here are a few of my favorites for inspiration. When eating out, opt for the cleanest menu items — protein + veg, fish, salads. Substitute a veggie side or a side salad for fries and pass on the bread. Dress salads with oil and vinegar. Treat desserts as a special goodie for special occasions and not a free-for-all for the whole season. So, have that slice of cake at your company Christmas party but don’t munch on Reese’s christmas trees every afternoon when you need a pick-me-up. If you’re out and about and feeling stressed out, resist the urge to head straight to the kitchen when you get home. Instead, go to your bedroom and put on some comfy clothes, run yourself a hot bath, or practice a little yoga. 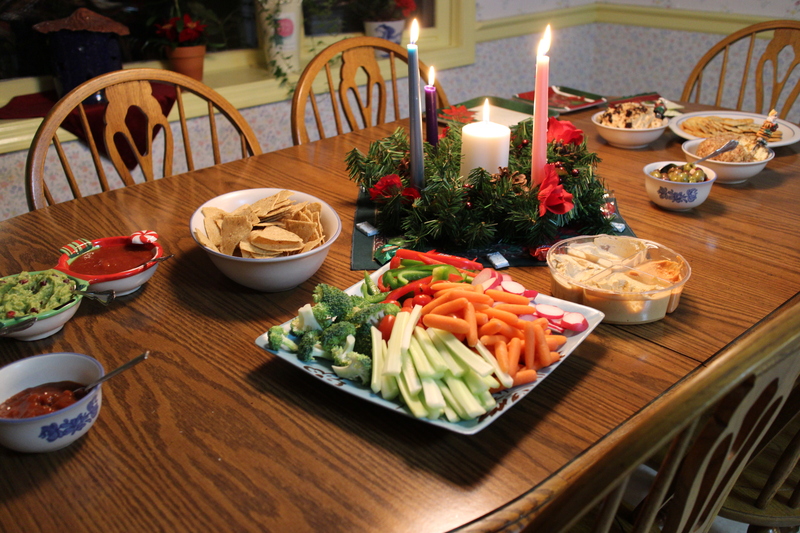 Savor and enjoy all the delicious foods of the season by eating mindfully and slowly. Enjoy warm cups of tea. Licorice Root tea can help curb a sweet tooth, Ashwagandha tea is great for mental and physical fatigue, and Peppermint tea will cure an upset tummy. Bring a water bottle with you wherever you go so you can be sure to drink plenty and stay exceptionally well hydrated. You’ll be glad you did if you find you’ve had one too many glasses of champagne on New Year’s Eve! Give yourself a lot of love! Fleeing the fires in Sonoma County. In the poorest towns, where even Wal-Mart failed, Dollar General is turning a profit. A run-down of the best emergency preparedness supplies. My charitable donation for October went to Center for Reproductive Rights. U.S. officials inadvertently included a Bloomberg reporter on an internal email list about Hurricane Maria. The Halloween costume everyone was wearing the year you were born. And I just ordered some Christmas decorations because it’s never too early. Have you heard of the new online grocery store where everything costs $3? Residents of Barbuda return to pick up the pieces after hurricane. 15 things to do when you’re bored at work. What’s next on your reading list? Find out how long it will take to read. P.S. A few Finding Delight posts you may have missed — Too Many Books, Never Enough Time and Desk Drawer Must-Haves. 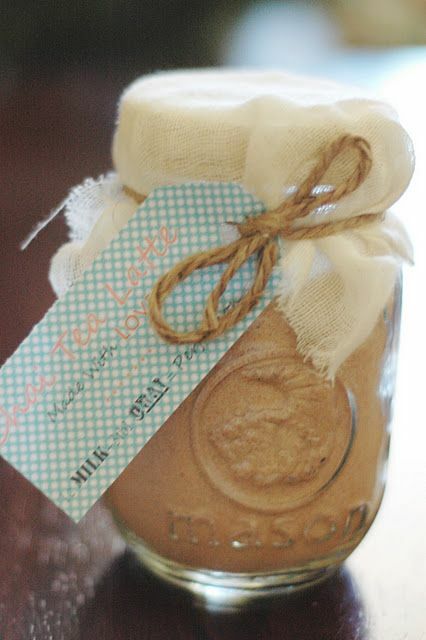 10 Holiday Gift DIY’s You Should Start Making Today! Make these for: Someone who loves to entertain. Think: Your best friend who hosts a monthly book-club or your sister who always offers to throw wedding showers. The How-To: Find a few mis-matched white mugs at Dollar Tree or a second-hand shop. 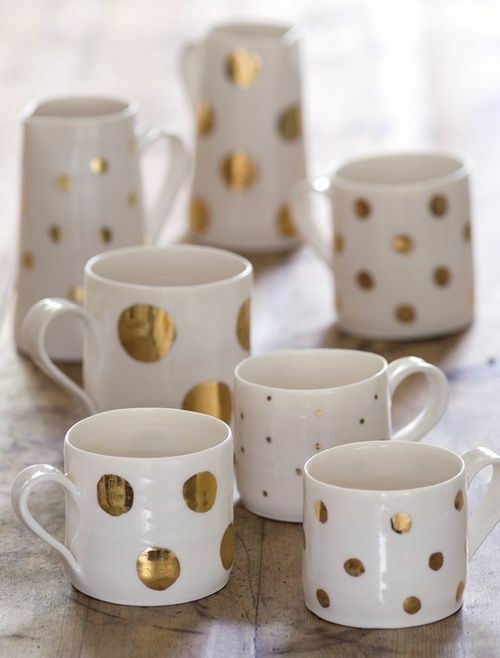 Decorate with different sizes of polka dots. Bake at 350 degrees for 30 minutes and let cool in the oven. Pair with: A bag of Fair Trade coffee beans. Make these for: Anyone who spends a lot of time relaxing in the great outdoors. Think: An aunt who spends most every evening on her screened in porch or your sister-in-law who considers the ideal vacation something akin to a chapter from Little House on the Prairie. Pair with: A historical fiction novel. 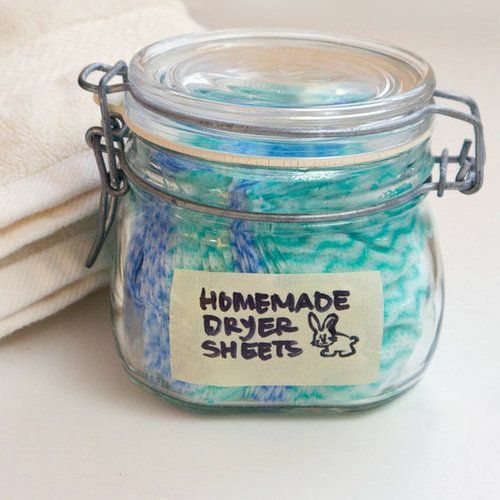 Make these for: A jeans and t-shirt kinda gal. Think: Your art-obsessed daughter or a friend who always discovers enviable flea-market finds. The How-To: Find some suitable denim and cut the legs to achieve a casual, cut-off’s vibe. 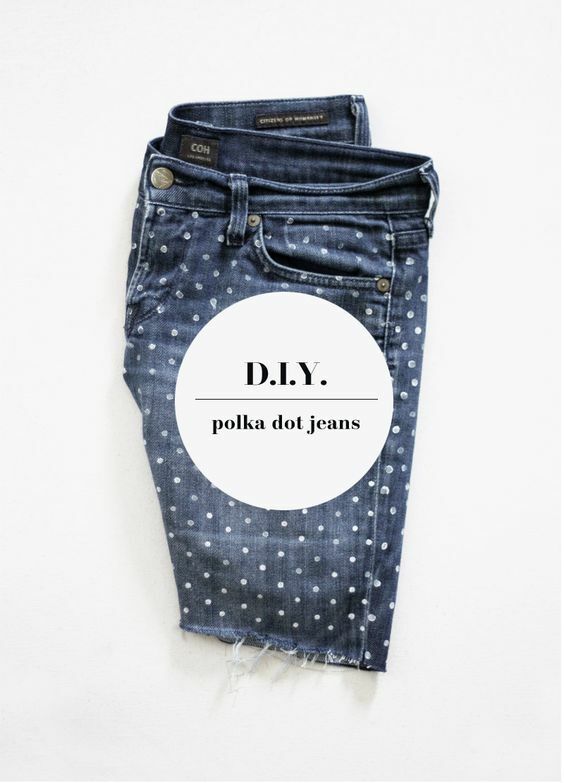 Dip the tip of a pencil eraser into some white fabric paint and stamp the jeans to create a polka dot print. Pair with: A clever tote bag. 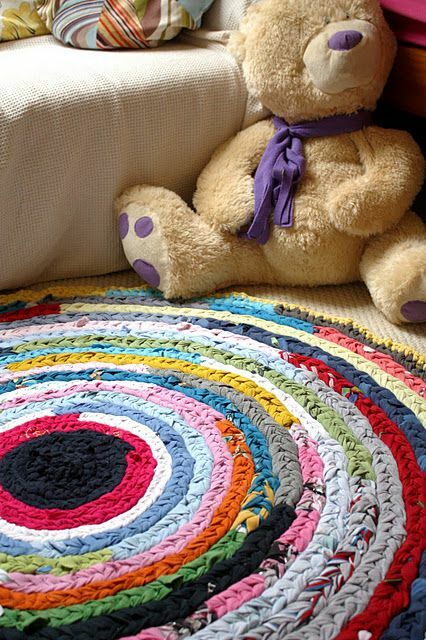 Make this for: A cuddly kid. Think: Your toddler son who is always on the floor surrounded by toy trucks or your sweet niece who would rather be curled up with a chapter book than anywhere else in the world. Pair with: A lamp that makes ceilings look like the night sky. Make these for: Someone who loves dainty decor. Think: Your little sis who is in need of decorations for her brand new apartment or your gal pal who matches mantelpiece decor with each approaching holiday. 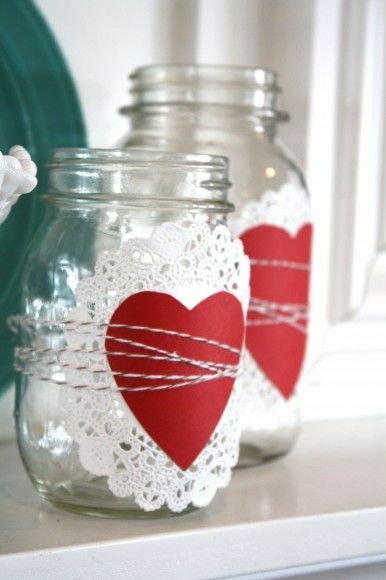 The How-To: Attach a doilies and red paper hearts to glass jars. (You can glue, decoupage, or just tie the string tight enough to hold the paper pieces in place.) Wrap red and white bakers twine around the middle and tie so the knot is hidden in the back. Make this for: Anyone who believes in Taco Tuesday. Think: Your brother who fancies himself somewhat of a celebrity chef or your co-worker who always posts her meals on Instagram but you don’t hate it. 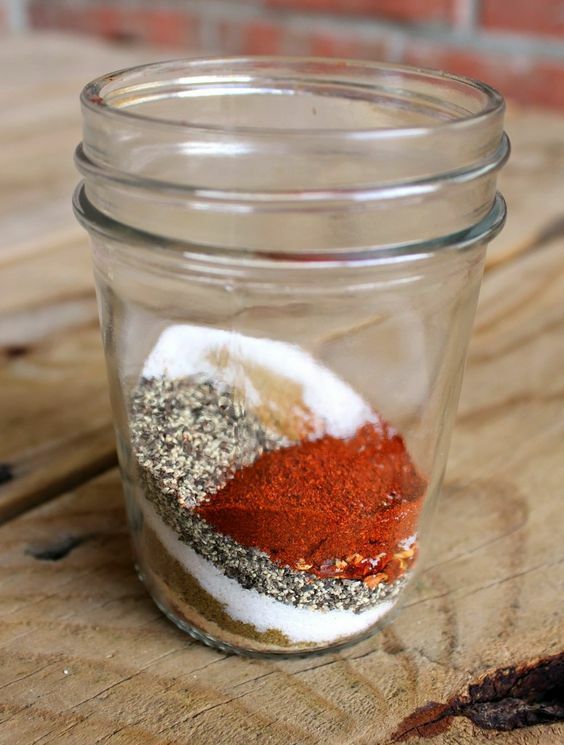 The How-To: Follow the recipe for your favorite homemade taco spice blend. Package in whatever container you think most suitable. Pair with: Taco holders that keep your hard-shelled tacos up-right. 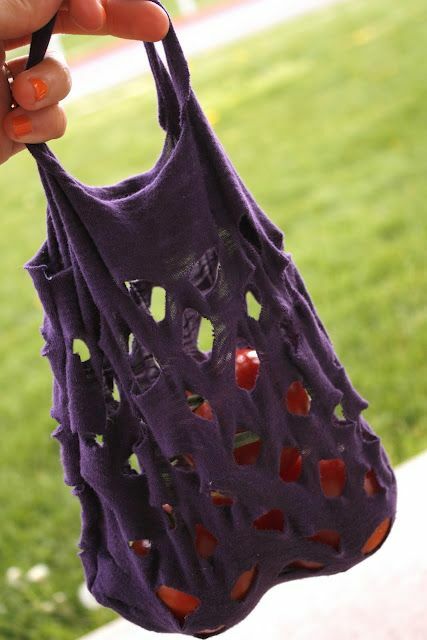 Make this for: The people in your life who never forget their reusable bags when they go to the grocery. Think: Your Greenpeace donating Mom or your yoga instructor. Pair with: A clothes hamper. Make this for: Someone who likes to start their day with a hot cuppa. Think: Your Starbucks-obsessed boss or the mom you share carpool duty with. Pair with: A tumbler for drinking hot beverages on-the-go. Make this for: Anyone who frequents the Farmers Market. Think: Your green-thumbed boyfriend or your BFF who recently got really into juicing. Pair with: Gift certificate to your local produce market or co-op. Make these for: Someone who fancies themselves a barista. Think: Your husband who wouldn’t be caught dead drinking plain, black coffee or your budget-savvy bestie who has sworn off her coffee shop habit as an upcoming New Year’s resolution. The How-To: Recipes for vanilla, raspberry, coconut, and caramel syrups HERE. 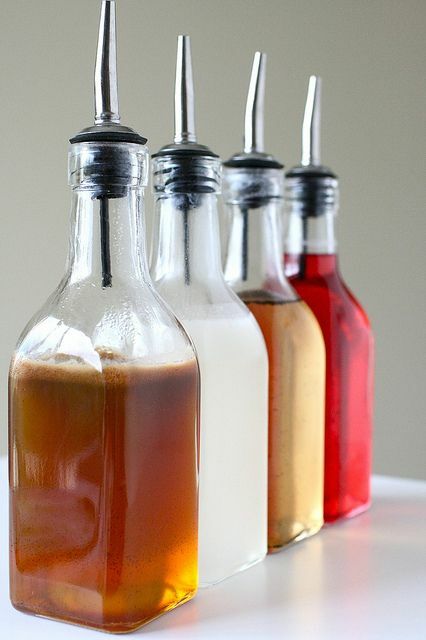 Add each syrup to a bottle with a pour spout. Package in a basket or tray so they’re kitchen counter ready! Pair with: A coffee cookbook for added inspiration. Which DIY from above is YOUR favorite? 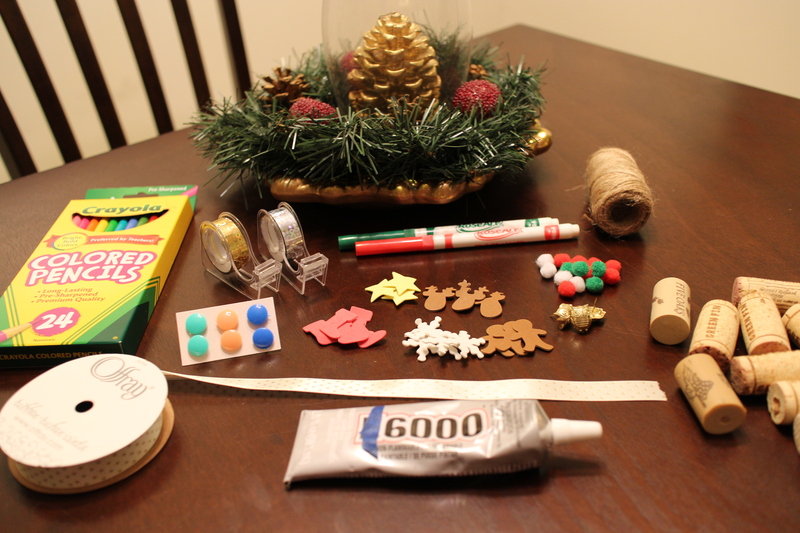 Do you plan on making any presents for the holidays this year? 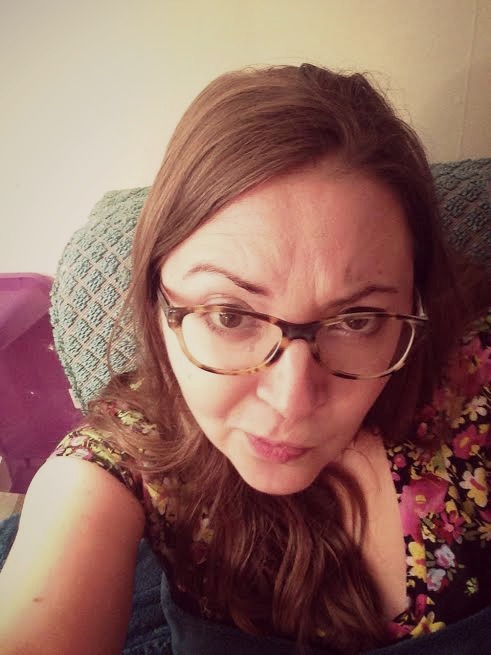 My friend Ashley, from Deep Curves Ahead, asked me to participate in this Christmas themed tag and share a bit about my holiday traditions. 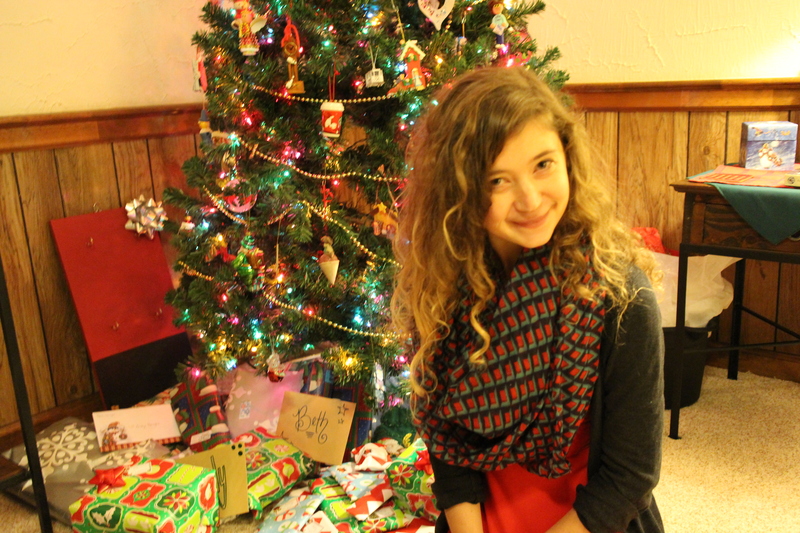 Check out her post, read through my answers, and leave a few of your own Christmas facts in the comments below! Happy Holidays!!! Favorite Christmas Film? Last year, Chet and I went on a Christmas movie watching spree! We watched everything from The Santa Clause to Love Actually and everything in between. My favorite probably goes to Home Alone or The Muppet Christmas Carol. As for Christmas Specials, I love Charlie Brown! 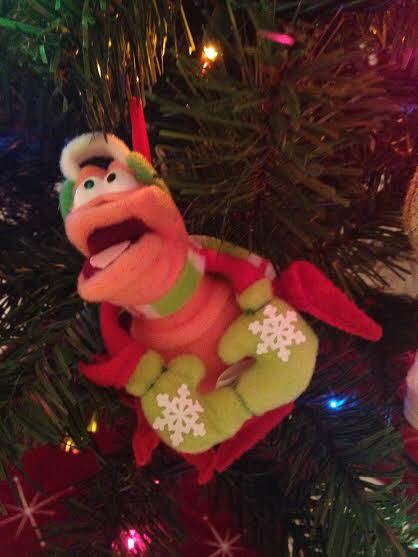 And all the old claymation Christmas movies just take me right back to childhood. Where do you usually spend your holiday? I typically spend Christmas with my immediate family in Lexington, KY. This year Chet and I will be heading to Louisiana for our holiday R & R. We can’t wait!!! Favorite Christmas song? I will always and forever contend that Diamonds by Rihanna is my favorite Christmas song. Although I also enjoy all the Christmas songs in Home Alone. Sidenote: My Favorite Things from the musical Sound of Music is NOT a Christmas song. Diamonds? Yes. My Favorite Things? No. Got it? Best Christmas gift you’ve ever received? Ahhh! So hard! I’ve been spoiled with so many wonderful presents over the years. As a kid the Playmobil Dollhouse probably takes the cake (although I remember getting strangely jacked about a can of Tinker Toys…even though the gift tag was made out to me AND my siblings which, anyone with brothers and sisters knows, is sometimes a recipe for disaster). Last year Chet gave me a computer he built himself which still blows my mind. All-time favorite holiday food? My mom makes a cheese-ball that I could, no lie, eat in one sitting…if I wanted to and had enough Ritz crackers to spread it on. (I would pay the consequence for that much dairy. Alas!) I also love all the cookies my grandma used to make, especially Peanut Blossoms. Yum! What made you realize the truth about Santa? As with most things I don’t really need to find out but end up doing so anyways, I found out the truth about Santa from snooping. I happened upon a receipt from a toy store and thought “Hmmmm….wonder what was purchased for MOI at this establishment…” On Christmas morning the toy I saw listed on the receipt was under the tree…but it said it was from Santa, not my parents. It didn’t take long for me to put two and two together after that. What makes the holidays special for you? The holidays offer a much-needed chance to slow down and simply enjoy quality time with your loved ones. This opportunity to re-connect is so special to me. 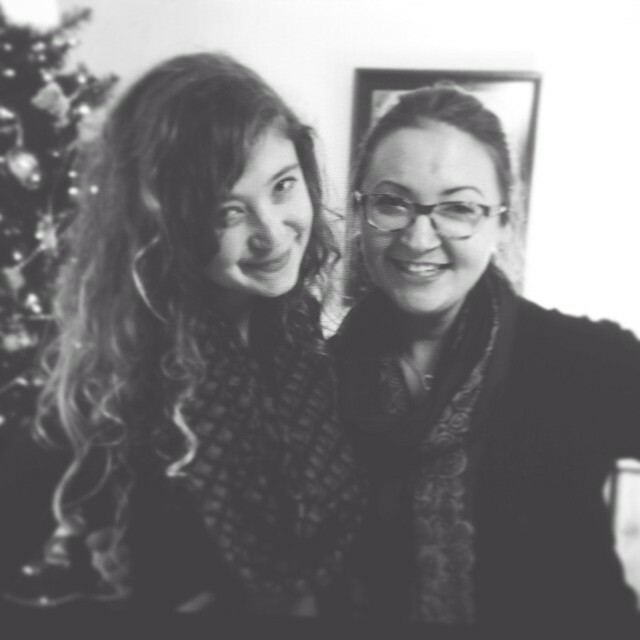 I love making memories with the ones I love during the Christmas season. What’s better, giving or receiving presents? Giving! I love shopping for others–contemplating the perfect purchases and anticipating their reactions. So fun! How do YOU celebrate Christmas? Share below! I hope you ALL are having a wonderful holiday season. …and came up with these! 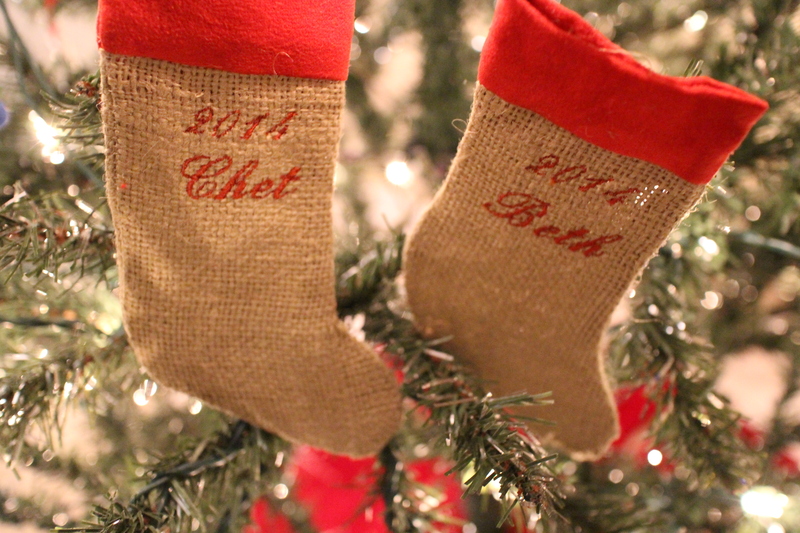 Little pom poms and push pins make perfect “ornaments.” Twine can be used to turn your little trees into ornaments. And those foam stickers in the center were a Dollar Tree find (and the ones pictured are just a FRACTION of the amount that came in the bag). 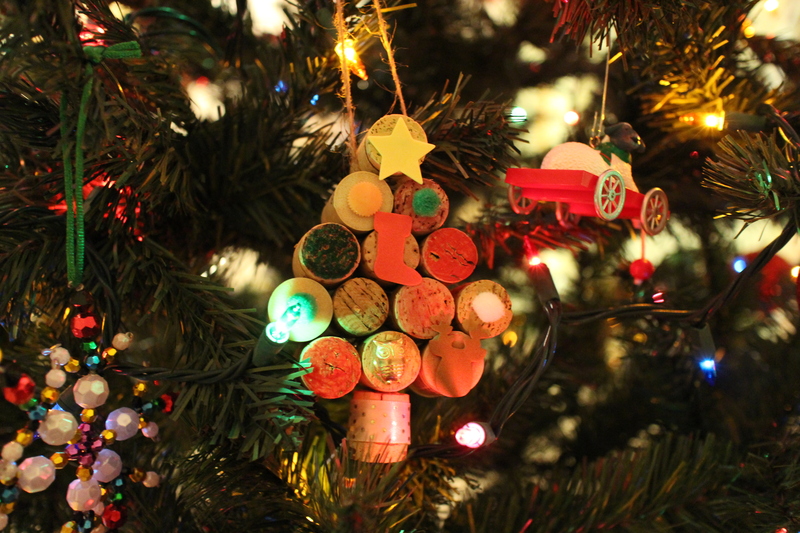 I used the E6000 glue to attach my embellishments but ended up using my trusty glue-gun to connect all the corks. 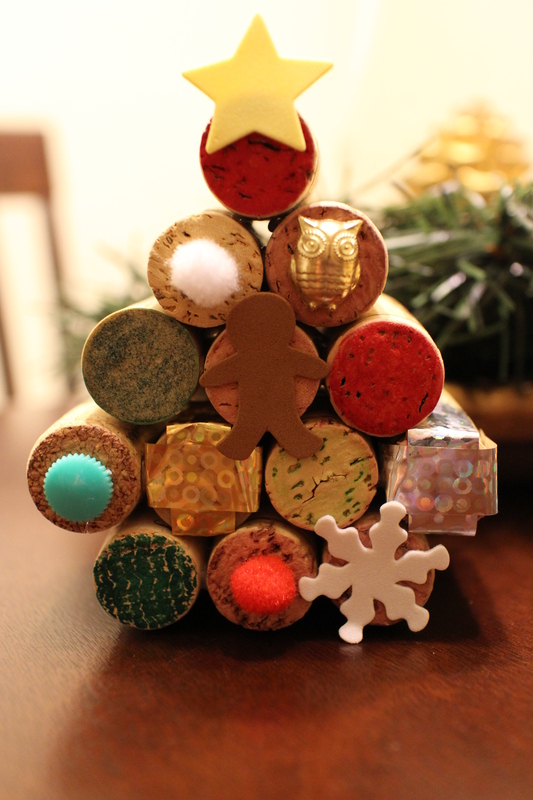 I made one little guy as a stand-alone tree to nestle onto a shelf on our TV stand. 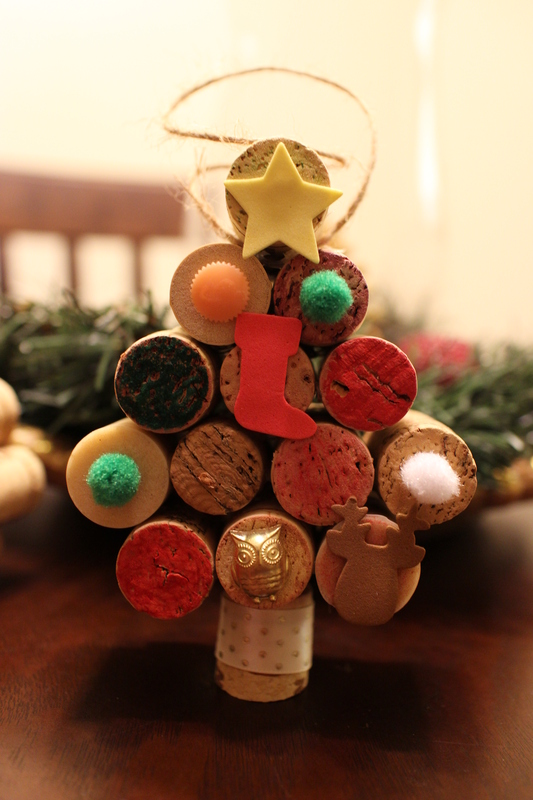 I love how the colors come out different on each type of cork. How cute is that gingerbread man? And I made another to hang on our tree. For this one I included a tree stump by cutting a cork in half (with a kitchen knife and a cutting board…livin’ dangerously!) and adding a bit of ribbon for embellishment. 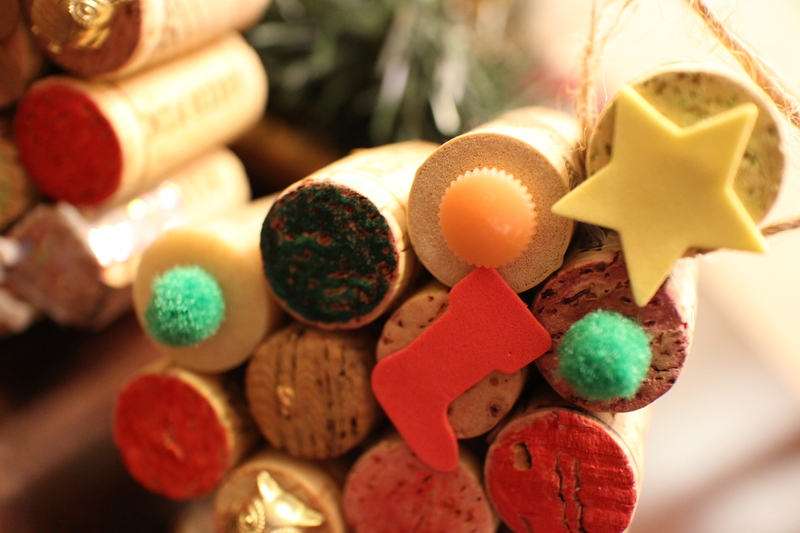 I also secured some twine below the top cork for hanging purposes. I’m totally in love with them and think they have the perfect rustic look. They’ll also look totally different based on what you have on hand! So give it a try! It was a super simple and cozy evening activity. 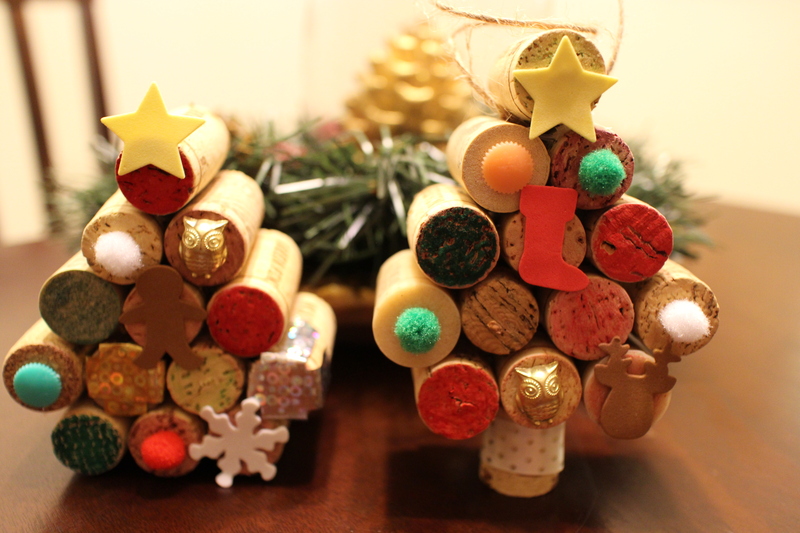 And c’mon, don’t you just love an excuse to drink more wine this time of year?! 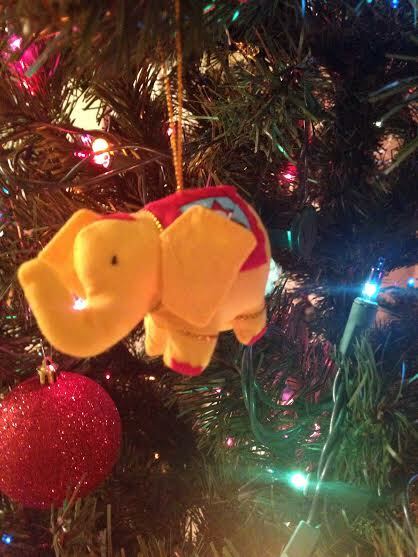 What sorts of ornaments do you hang on your tree? 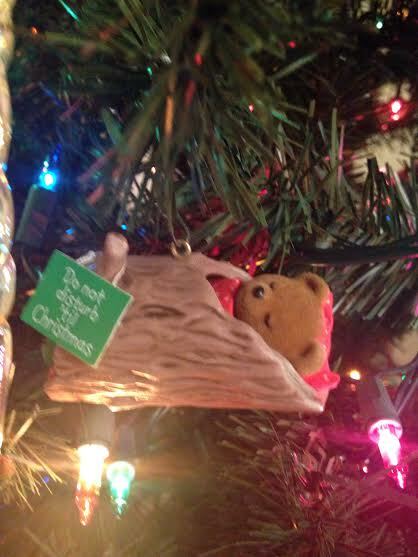 Do you make your own or do you stick to store bought baubles? 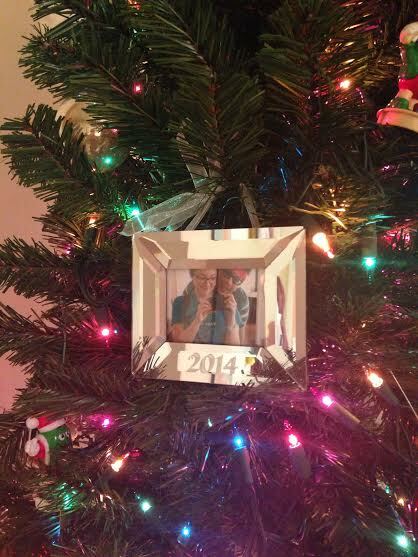 Does your tree have a theme? I’d love to hear! 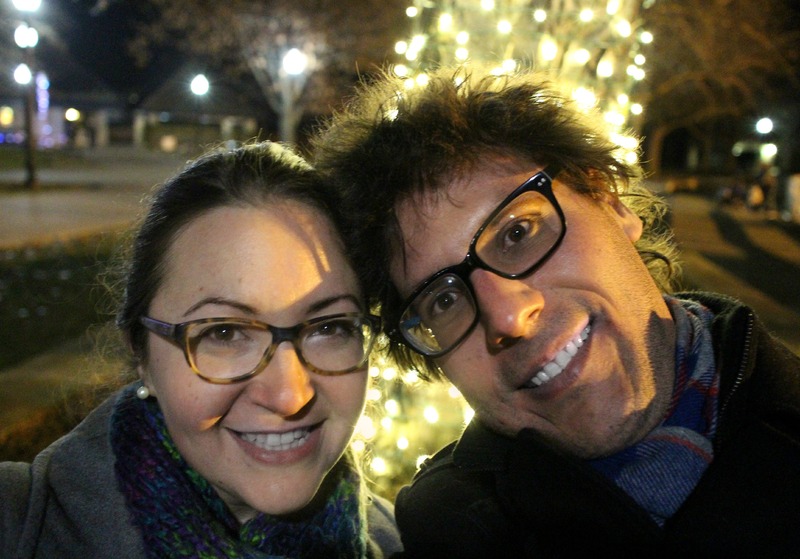 My Holiday Season: a look back in photos. 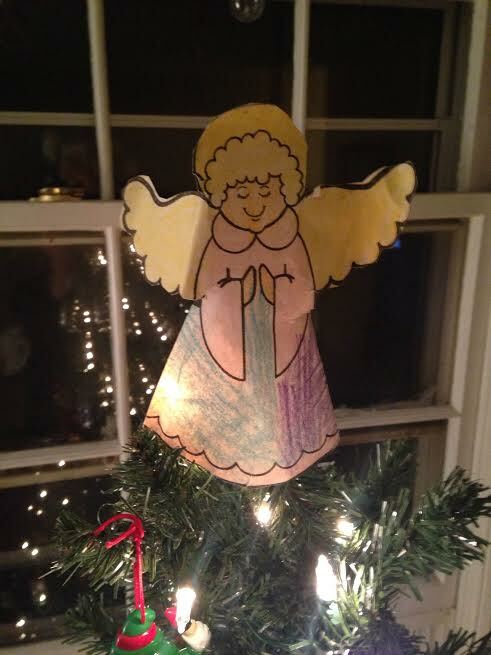 Our tree topper for our adorable little tree was made by Chet circa the first grade. 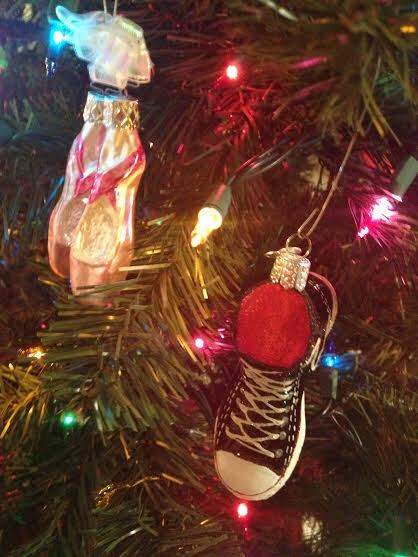 We decorated our tree with old ornaments from our childhoods and it was so fun to merge them into one place. 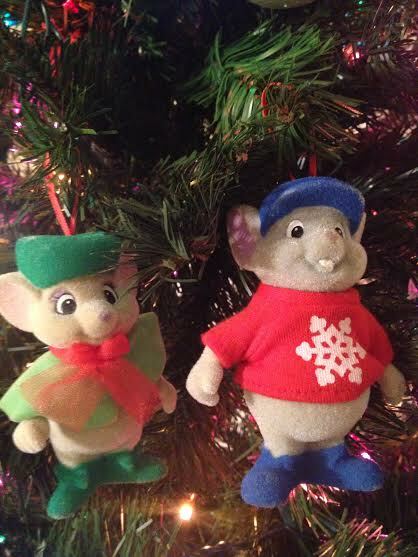 I was sort of obsessed with all the Disney movie McDonalds ornaments he still had in his collection. Sebastian from The Little Mermaid may have taken the cake for me as top ornament this year. 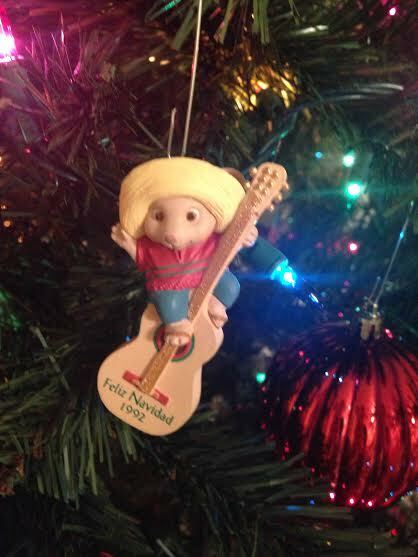 Although I still have a soft spot for my “Feliz Navidad 1992” ornament featuring a mouse wearing a sombrero. OLE! 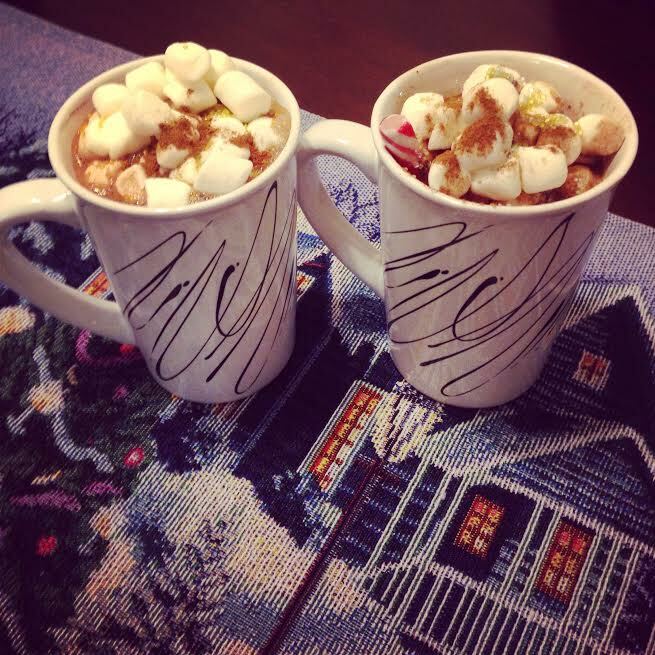 A Godiva hot chocolate set for some fancy, festive sipping. Mini marshmallows FTW! 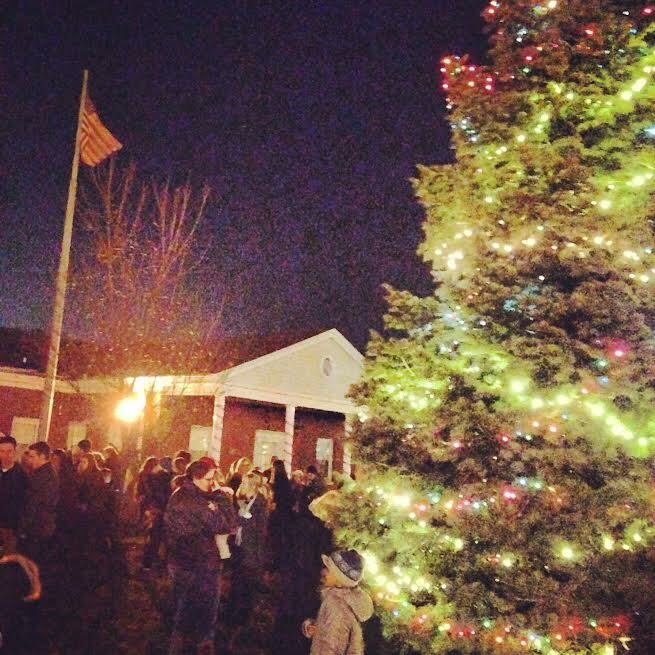 And speaking of trees… one night, for work, I went to a lighting at a local fire station. The carols, sung by a local high school choir, definitely put me in the Christmas spirit that night. 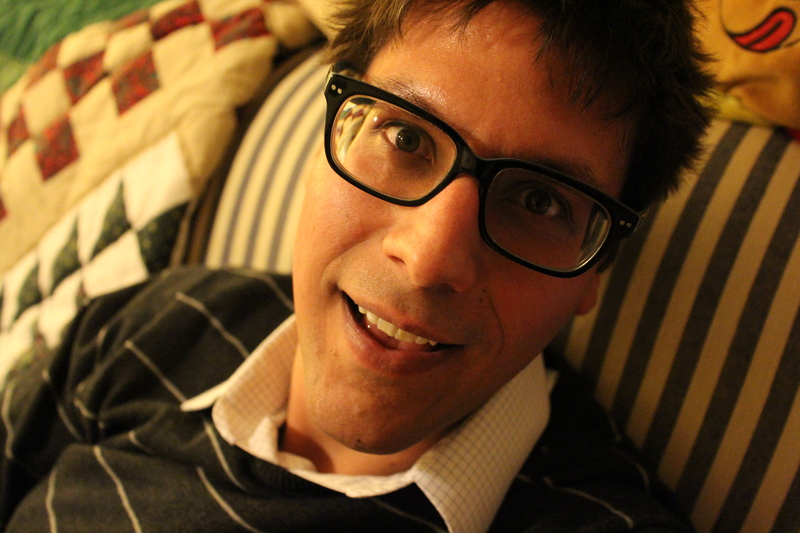 Chet and I also did a lot of camera experimenting since my camera is still fairly new (he got it for me for my birthday in October). One evening we walked up to Ashland Estate to get some shots, even braving the crazy cold. 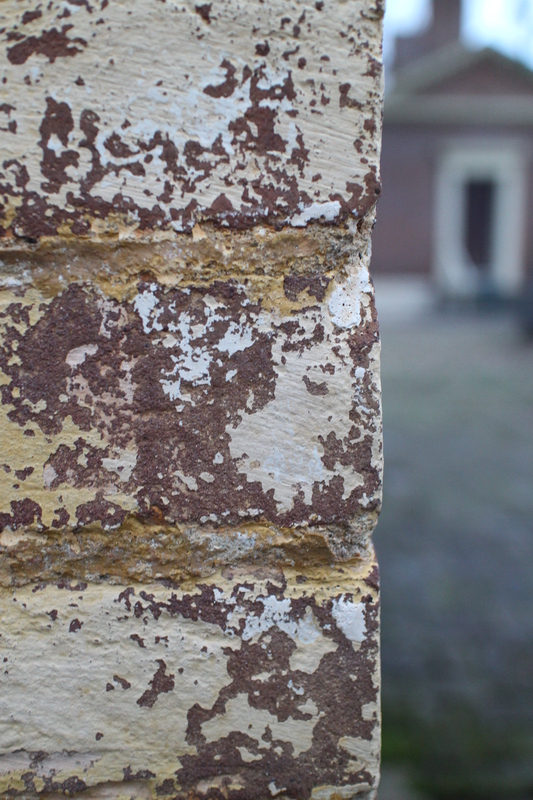 I had fun with some texture shots of the old buildings (and selfies, always selfies) because THEIR Christmas tree was nothing to write home about and by that I mean not all that fun to photograph. 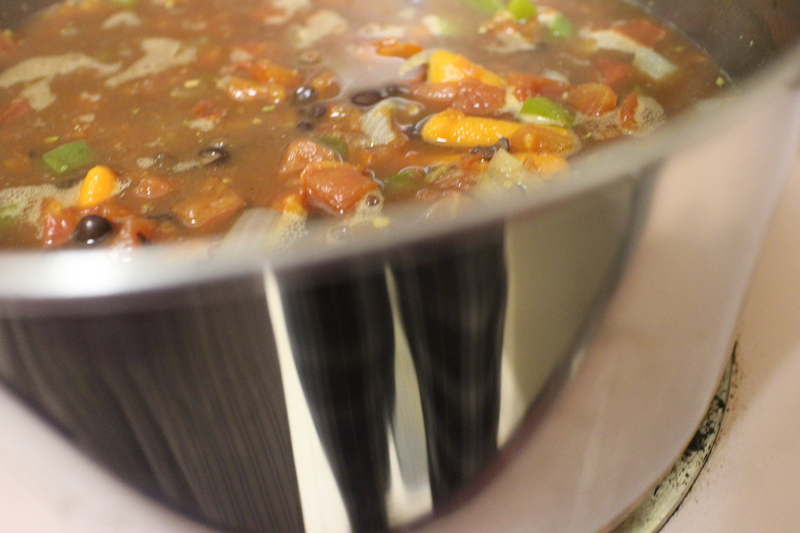 Due to the temperatures we made a LOT of soups from scratch. 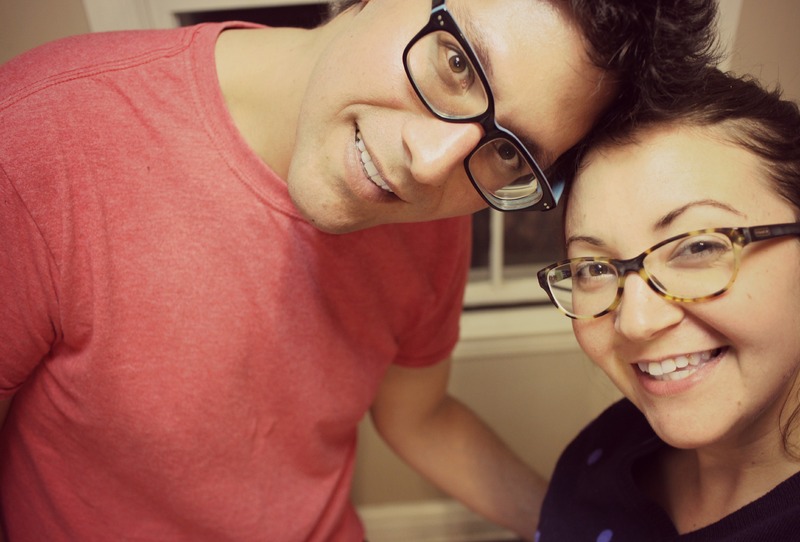 I love this picture because the reflection in the pot totally gives it away that we’re both wearing flannel pj pants to cook dinner. YOLO. 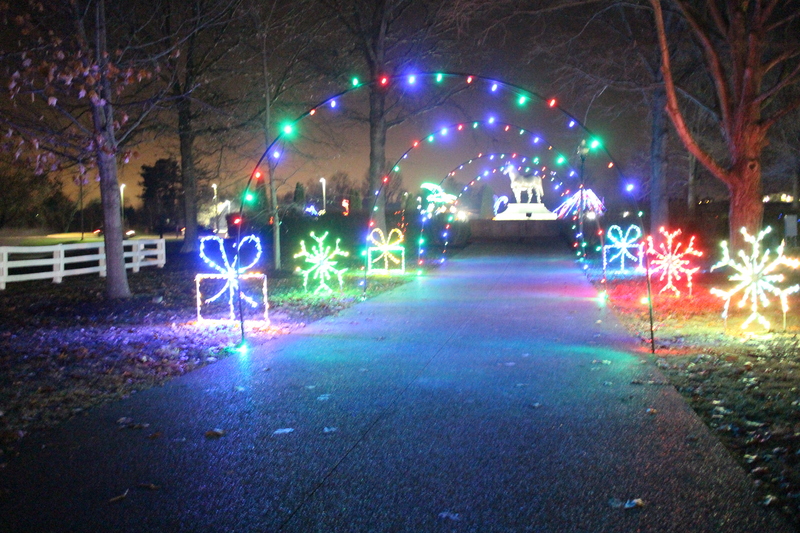 Another evening of braving the cold, we ventured to The Kentucky Horse Park for their annual Southern Lights. 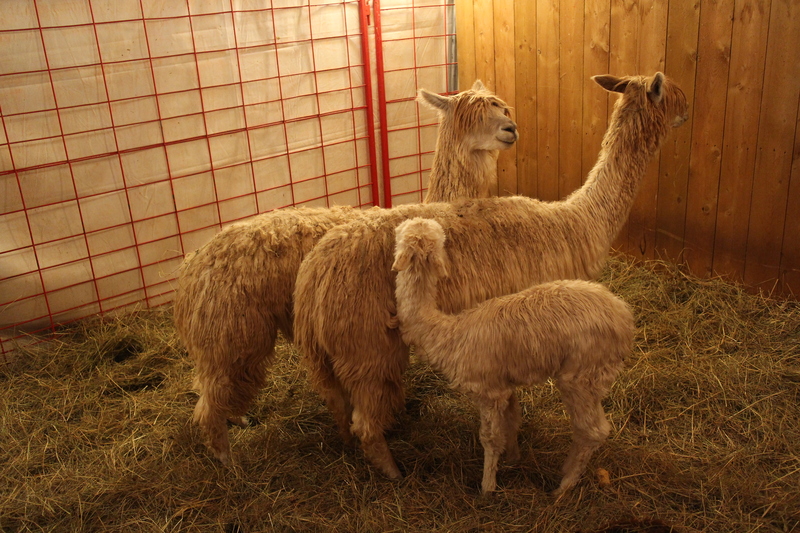 The drive-thru Christmas light display was pretty as always but this alpaca family totally upstaged everything ever. Hot beverages (chai for him, hot chocolate for me) and a wander through a winter wonderland makes for a magical night in my book. Have I mentioned that this boy CAN. COOK.? 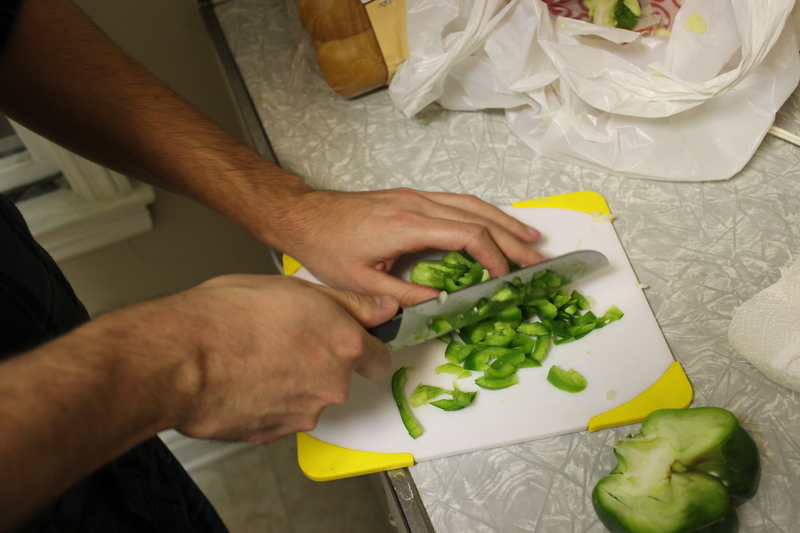 Check out those knife skills! I’d say his specialties are Asian dishes (think: Japanese curry and spicy bowls of piping hot noodles) and of course Cajun (think: huge servings of Gumbo and buttery crawfish etoufee). 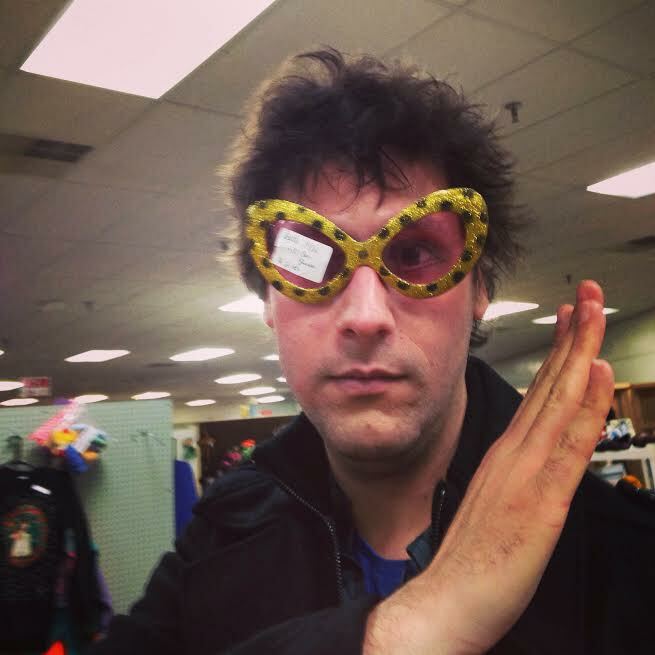 Have you ever been down the terrifying yet strangely intriguing rabbit hole that is The Lexington Peddler’s Mall? We have! Sometimes you really do find that needle in a gigantic haystack. Note: the sunglasses Chet’s sporting are not one of those needles. 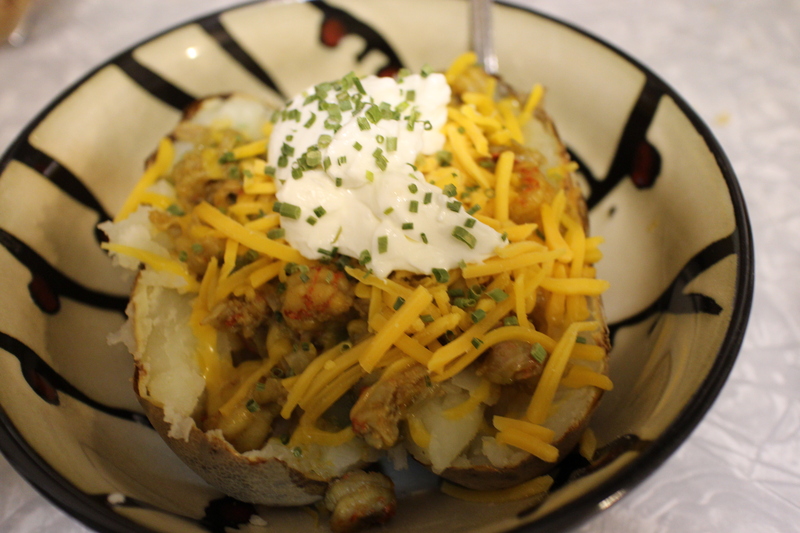 Remember those crawfish potatoes I was seeing in my dreams for weeks after Festivals Acadiens? We successfully created our own version and I’d say it was down right, to the T, SPOT ON. Food hack success! I did a spot of holiday baking after gaining inspiration from Lily Pebble’s Vlogmas videos on YouTube. 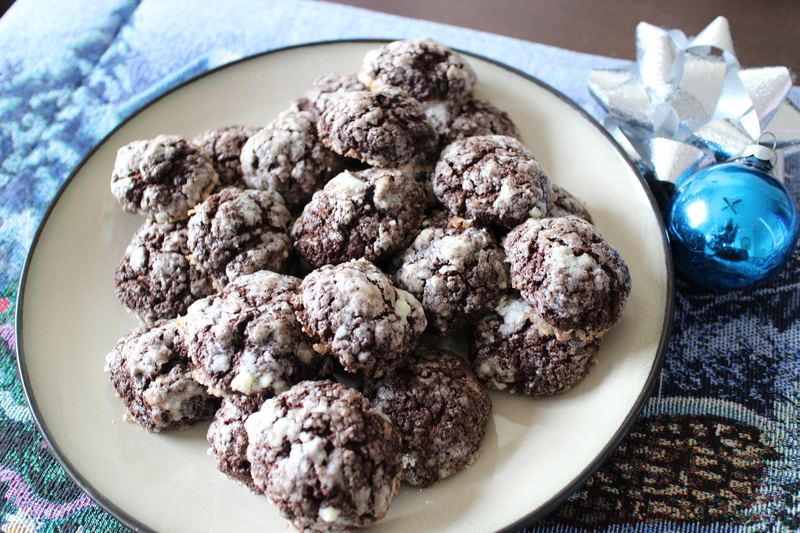 These are her Internet-famous “Brookies” –a cross between a cookie and a brownie. As I mentioned above, Chet and I opened our presents to each other on Christmas eve at the apartment. I was absolutely stunned and elated to receive this GORGEOUS computer!!! Talk about spoiled. 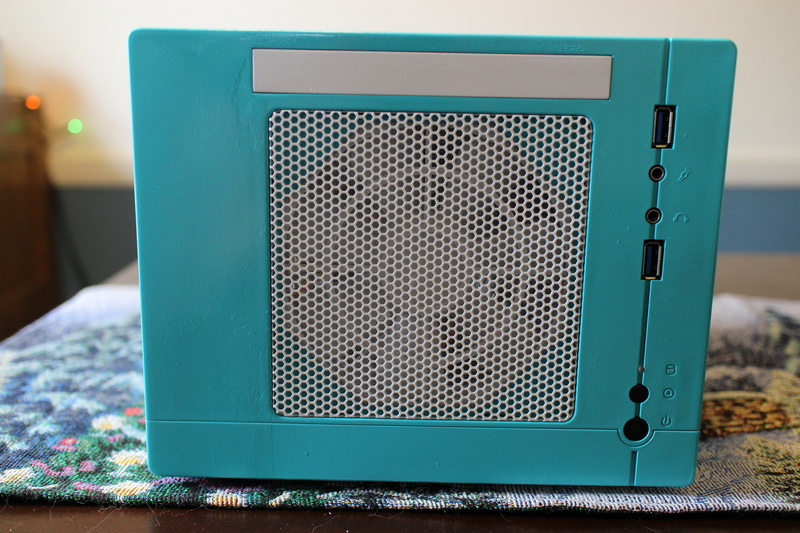 Chet built it himself AND painted it that lovely Tiffany Box blue/retro shade. I don’t think anyone has ever made me such a customized gift. It works so well and is cute to boot, not an eyesore like a typical desktop tower. I’m already obsessed with using it! 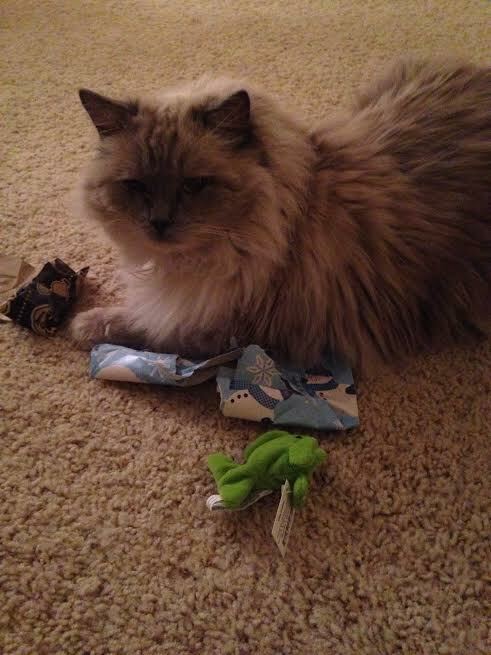 …here’s one of Wink opening his presents! I received some lovely presents from my family that I am so thankful for. Hiking poles, a lamp, a lovely bowl for noodles, lots of books about crime and (too) much more. They know me so well. One thing I’ve gotten better about in the last few years is putting my Christmas presents to use pretty much immediately. In the past, I would want to “save” them but where is the fun in that? That’s a quick way to end up with too much STUFF ie) leaving that nice lotion in your bathroom cupboard for months. Why not crack it open right away!? 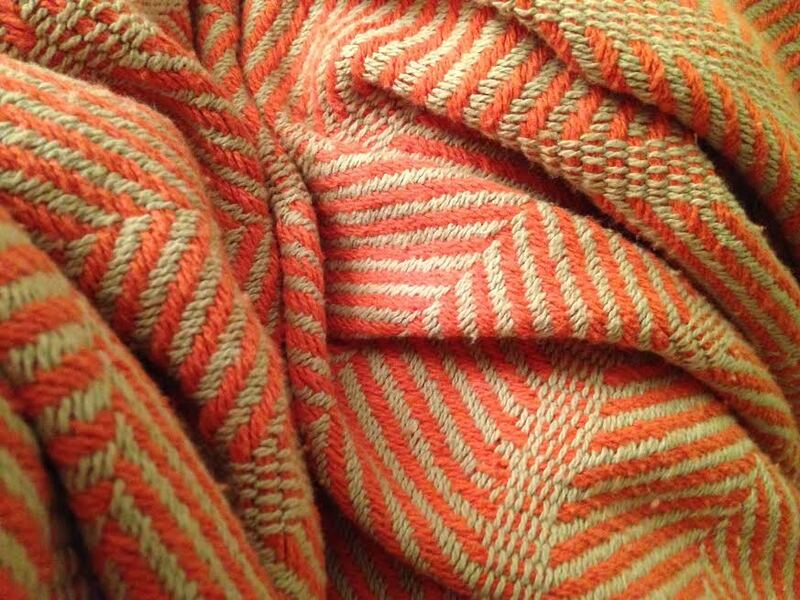 One thing I treated myself to in the post-Christmas sales was this organic blanket from Target. 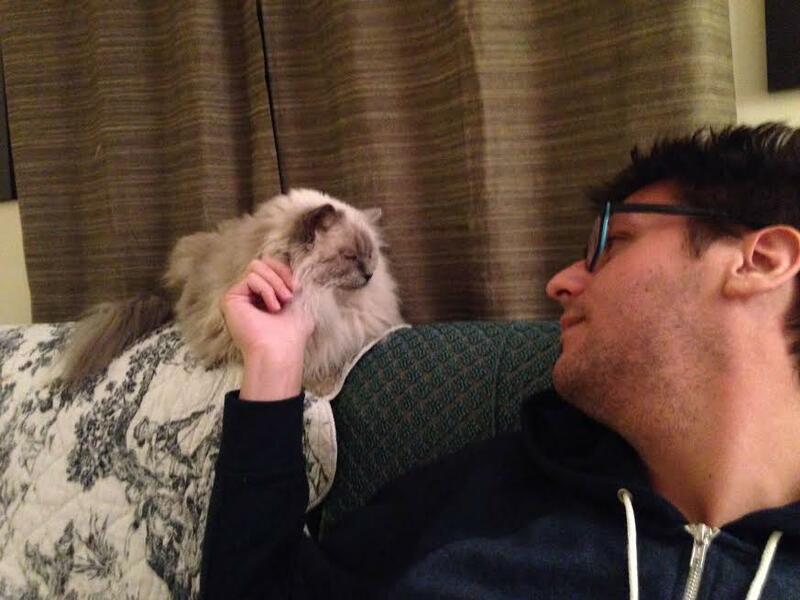 I can’t get enough of it and neither can my cat. I also scored a wicked cheap set of knives and a pair of jeans in my Boxing Day mad dash. yet so glad I got to spend so much time with these two!!! Hope everyone had an equally rad time this past month. My goal is to start cranking out some more regular content on Finding Delight in the coming weeks so stay tuned and check back often! I’m so happy to have you along for the ride. Let’s catch up! Tell me about your holiday season. What was your favorite Christmas present? Who did you kiss on New Years? Did you brave the cold for any fun outdoor excursions? Don’t be shy, share in the comments! Gift Guide Pt. 2 — Boyfriends. 1. Nerf gun to stage epic living room battles (and because boys will never outgrow their toys), $11. 2. Friendly Foxes print, $20. With perfect colors and whimsical design this Print Mafia piece is a perfect representation of your partnership. Would look adorable hanging in your apartment. 3. Makers 46, $36, a great addition to all his holiday cocktails. 4. Annual passes to the aquarium. $45 for each pass. No doubt about it, he would love seeing the marine life all year round, and BONUS: fun day-trip dates for you! 5. Bill wallet, a place to keep all his valuables snapped-in and from one of his favorite companies. $90. 6. A subscription to Dollar Shave Club razors along with a canvas dopp kitt, so he can have blades delivered right to his door and store them in a fun bag. $6/month and $35, respectively. 7. And speaking of subscriptions, a box (or a few) of treats from Knoshy, crafted in small batches by independent food producers from around the USA. $30 per box. 8. 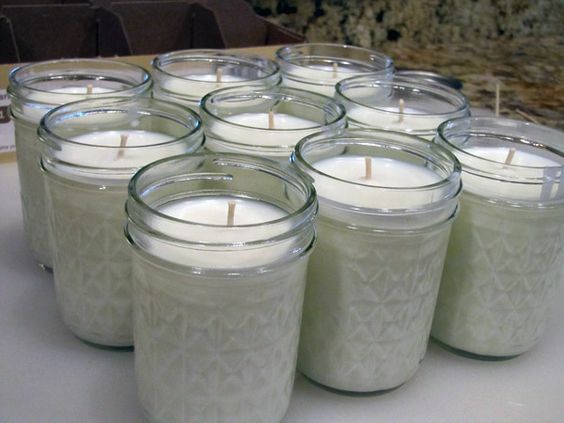 3-wick candle, $22, in eucalyptus spearmint to clear the mind and improve concentration while he works on his dissertation. 9. Shave kit gift set, $38. For his pretty face! 10. Headphones, including a retro design and a great sound quality. (Plus, they come highly recommended!) $40. 12. Microfleece lounge pants, $15, for those cold winter nights of doing not a whole lot but that feel like just enough. Still using those earbuds that came with your phone? It might be time an upgrade. Buying headphones can be a pretty overwhelming experience. Beats by Dre have really caused an explosion in headphone sales, not to mention driving up the cost of a pair (though not necessarily the quality). Protip: Beats aren’t very good headphones for the price. 200-300 dollars can get you a mighty fine pair of headphones for the audiophile in your life, like these gorgeous AKG 701s that will blow a pair of beats out of the water in sound, comfort, and performance. You also don’t have to spend a lot of money on quality headphones. For instance, the Audio Technica m30x is a great pair of headphones for a good price. My headphones travel everywhere with me, and they tend to take a beating from being tossed around, so I don’t typically pay top dollar for a pair of cans. Luckily, there are still a few great choices for the budget buyer. These Panasonic Over-ear Monitors have great sound for the price (can’t beat the looks, either!). An oldie but goodie, the Koss Portapro also delivers fantastic performance for the price, though the style may turn some people off (Fun Fact: these headphones debuted in the 1980s and were so highly reviewed that Koss decided to stick with the design to this day). So what do you think? Who is getting a pair of headphones for Christmas? Thanks so much, Chet!